Tax season has come and gone, but it may not have breezed past — especially if you have the responsibility of filing for your business as well as for yourself. The good news is that we’re here to make the former easier with the following five tips. Read up now and you’ll be ahead of the pack by the time next April rolls around. Happy Tax Day 2017 way, way in advance! 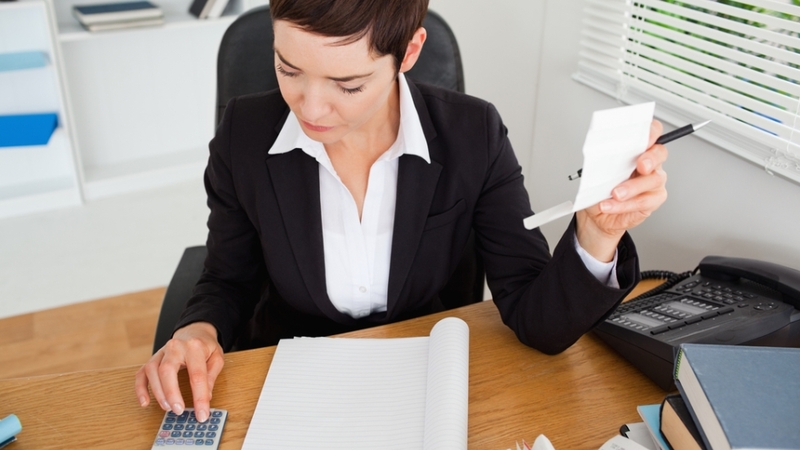 Even for adults with businesses and incomes, tax-time paperwork can be confusing. This is an especially disheartening thing to realize when you’re in the midst of filing. That’s why it’s important to start reading up and understanding the requirements for filing now. In doing so, you’ll also be better able to find where you can uncover tax-saving opportunities for your business — there’s nothing better than that come April. Remember when you were in school, furiously typing an essay the night before its due date and kicking yourself for procrastinating? Tax season is pretty much the same. Just as you’ll want to familiarize yourself with what’s required of you in terms of paperwork, you’ll want to start setting aside the required information now so you won’t be digging for it later. This could include anything from expense reports to notes that explain why you spent money on gas, money or entertainment. The latter will come in handy if you’re ever audited by the IRS and need to explain any expenditures, so it’s great to jot down and file away, just in case. There’s a good chance that your small business will be required to pay up some form of taxes at the end of your filing. You should figure out now where that money will come from. In other words, if you don’t have a dedicated account (or corner of your account) for tax-paying purposes, open that now. Adding to it slowly but surely will make the tax payment process a little less painful. Saving for your retirement should never be a tomorrow thing, no matter how young you are. The money collects interest over time and gives you a nice payday as soon as you decide to stop working for good. If that’s not enough of an incentive, you’ll get tax benefits when saving for retirement, too: At the top of the list is the fact that you can defer and, sometimes, never have to pay any sort of tax on the money you put away. That means that, if you put $10,000 away out of an $80,000 income, you’ll only be taxed for $70,000 of it. Even better news is that you’ll get all of that $10K down the line, and you get to have fun with it — Sign us up! Like we said earlier, tax paperwork is confusing. There’s no shame in feeling that way, either. If you find yourself feeling overwhelmed at any point in the tax-paying process, alleviate your stress by hiring a professional to help. You can find them anywhere, and their guidance will make the process easier. Perhaps more importantly, their services often come with a mistake-free guarantee so that you can rest a little easier after you file. At the end of the day, that’s all we can hope to do, whether we’re doing so for ourselves or our businesses. Now, get out there and start fine-tuning your tax knowledge. April is just around the corner.